Ghana has witness quite a number of popular personalities who have denounced the profane/secular music to become full time Christians. The likes of Lord Kenya, Majid Michel, Pascal Amanfo, Papa Shee, Timothy Bentum, ‘Ofori Amponsah’ et al are among the “born again”. The list of celebrities who have denounced the profane world has increased with the inclusion of Kesse of TV3 mentor 4 reality show fame. 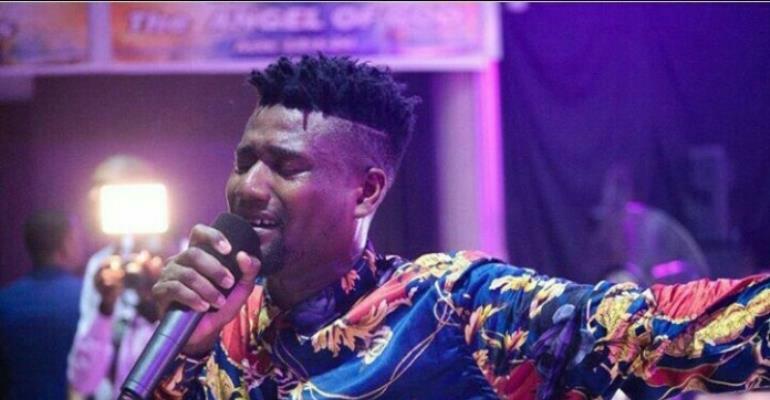 After TV3 mentor, Kesse who’s well-known for his soothing voice became the favourite of lovers of love songs when he released “Oh Yes” song somewhere 2011. Afterwards, he went on to collaborate with almost all the A-list artistes at the time not excluding the likes of Sarkodie, Castro, D Black, among others. In order to sail higher in his music career, Kesse took part in MTN project fame reality show in Nigeria where he got the second position. Kesse whose carrier in music was dormant for a while now decided to resurrect it again but this time by coming out as a gospel artiste. Accroding to Kesse in a recent interview, he denounced the profane world because of his encounter with Jesus Christ. As a result, he’s now a gospel musician and he won’t go back to his the era of doing secular music.